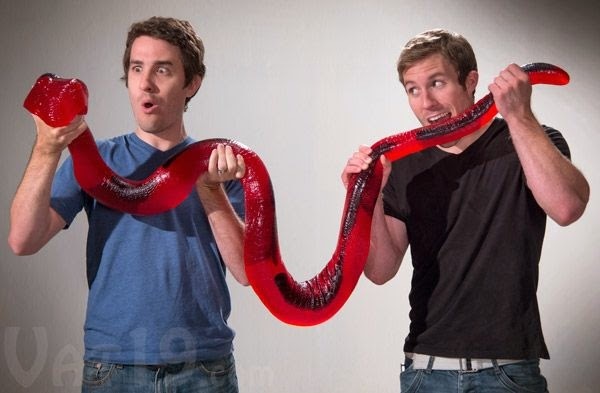 Over on neatorama.com, they present a "Seven-foot-long Gummy Snake" here. Also, Team Unicorn has a video I hadn't seen before titled "A Very Zombie Holiday (Instructional video)." Enjoy. Finally, on the Film Festivals and Indie Films YouTube channel, watch "What We Do in the Shadows Opening Scene (2014) - Vampire Mocumentary" a preview of an upcoming humorous take on shared-house reality television. Enjoy.